Well it's good news for all those who have been patiently waiting for any updates about Big Brother Naija 2018 Auditions. An inside source from MultiChoice has hinted to one of our reporters that Nigeria's most popular reality TV show might be back on your TV screens in 2018. Now that simply means the Application Forms will also be made available to every individual who'll be interested in the registration process. And that being said, Big Brother Naija Season 3 is expected to take place next year because according to Big Brother Naija popular fan website, it's only a matter of time before the auditions are announced. 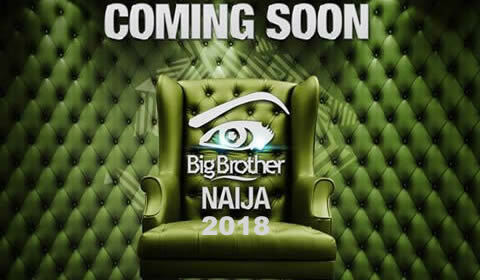 However, we do understand that there will be demand from authorities and concerned parties that the show is staged and filmed inside Nigeria unlike the previous season that was filmed in Johannesburg, South Africa inside the famous Big Brother Africa house at Sasani Studios. Please keep logged in because we'll be updating you about any new developments concerning the much anticipated Big Brother Naija 2018 show. To get the latest news and Big Brother Naija/Nigeria 2017-2018 Updates, kindly subscribe to receive email updates from www.BigBrotherAfricatv.com.